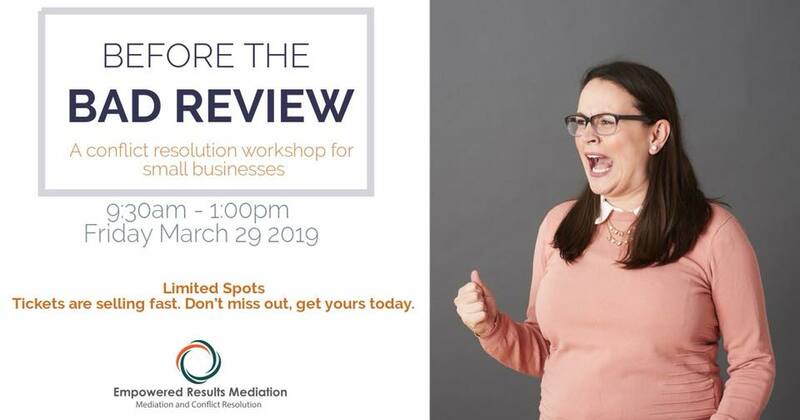 Empowered Results Mediation is excited! Because we’re announcing a new workshop in Milton, Ontario. It’s about learning to handle dissatisfied customers, and deal with difficult client conversations. This will allow participants to leave with tools and strategies for managing a dispute. As a result you’ll have confidence in dealing with unhappy customers. Keep an eye on this page for all of our upcoming workshops and speaking events. If you have an event that you think would benefit our clients, contact us and we may feature it here!